One afternoon, after arriving at Bosque del Apache National Wildlife Refuge, we planned to make a circuit of the Farm Loop in late afternoon before finishing at the crane pools. While transiting the center of the refuge we came upon this coyote (Canis latrans), surveying some marsh area from near the road. 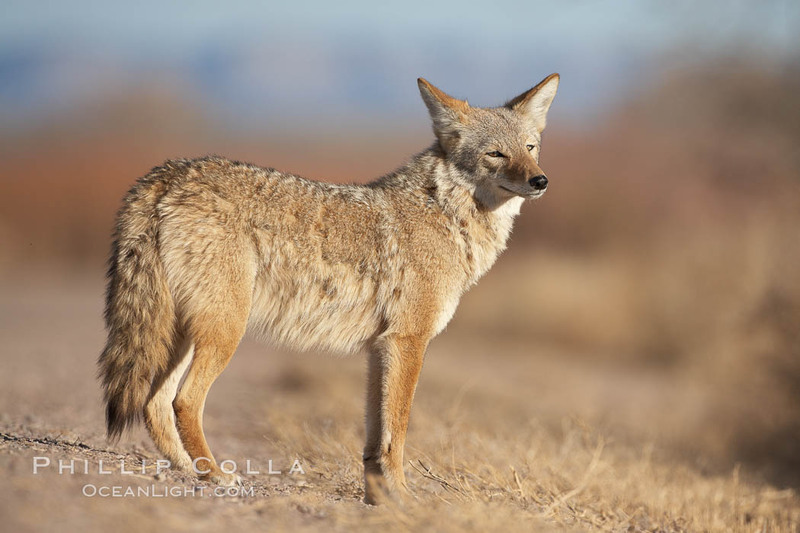 The coyote seemed in no hurry, holding its position long enough that I was able to pull out my longest lens (which fortunately was already on my best camera body) and get in position to snap a few frames. Eventually I was able to lay myself and my camera on the ground to get this particular frame. See more photos of Bosque del Apache National Wildlife Refuge.